Last year we were asked to look at this very nice Audi RS6 with a coolant leak fault. The coolant pipes under the drivers side wheel arch corrode badly over time. 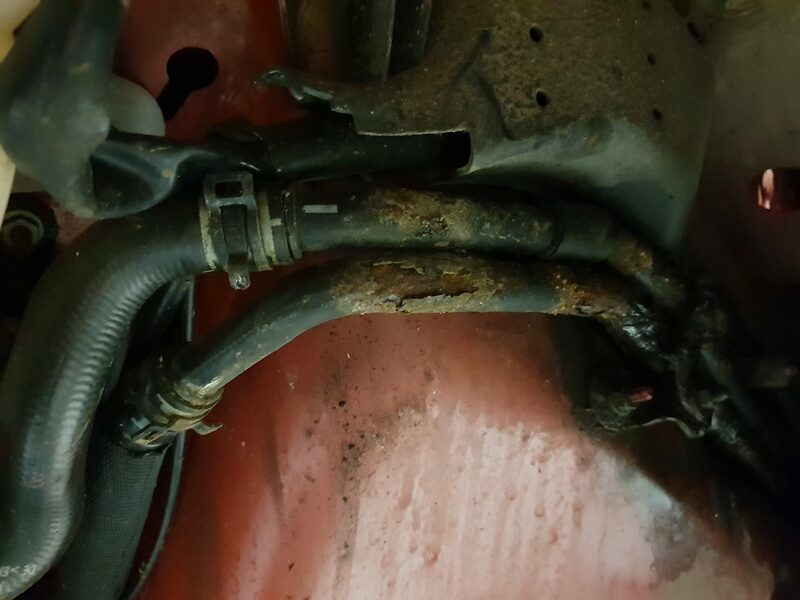 There is no easy fix for this fault because the pipes go through the wheel arch and behind the engine bay. 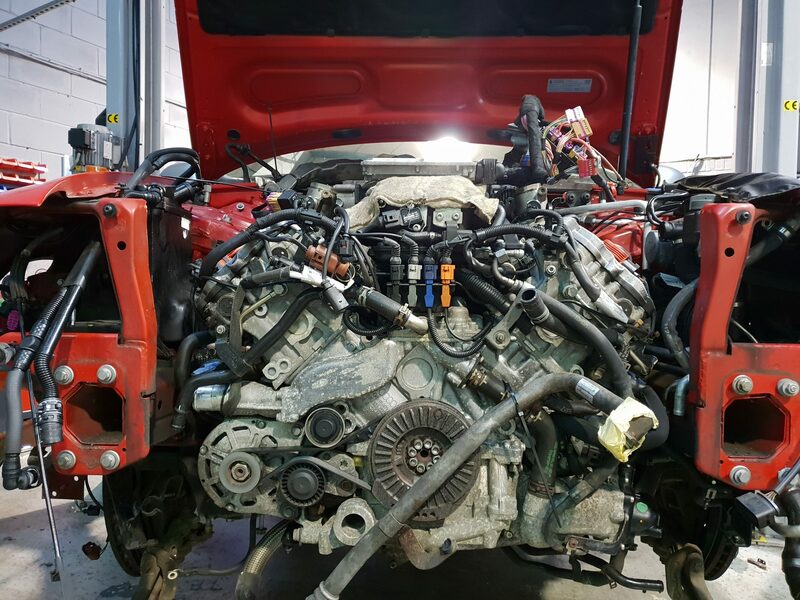 The only option was to remove the complete engine and gearbox to gain access from inside the engine bay. 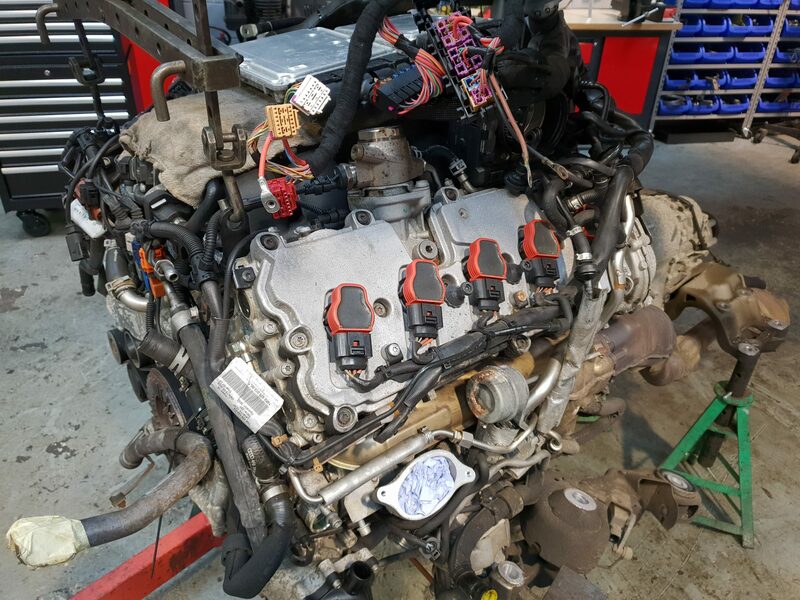 When the engine was removed and with the customers approval it was decided whilst apart that the oil pump seals and a full engine service be carried out at the same time. 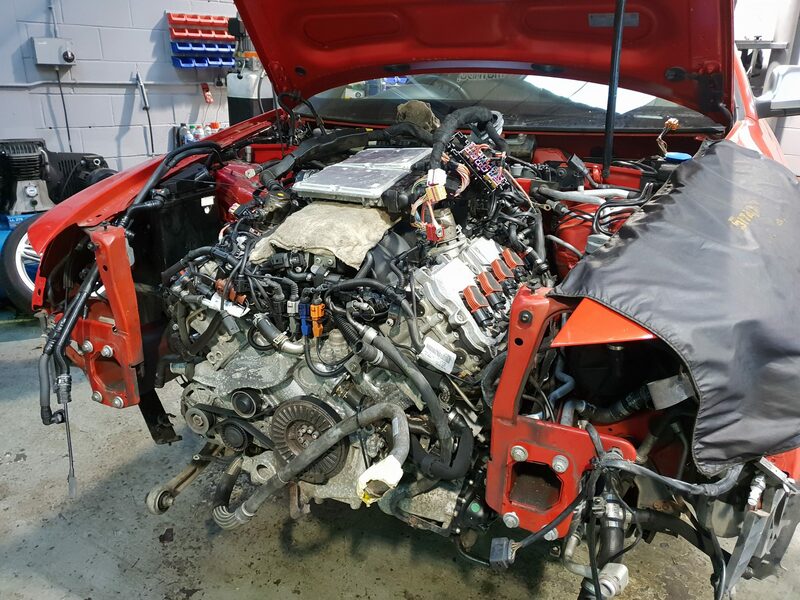 The job under taken was a massive amount of man hours but here at Advanced Auto Repairs we kept the customer fully informed at all times throughout the various stages of repair and agreed in principle to a fixed labour cost for the job so both the customer and ourselves had clear objectives. We took many pictures in the repair process to give to the customer once finished as a detailed log of all events throughout. If you own one of these beautiful RS6 models and are suffering Coolant pipe corrosion or Corroded water coolant lines then please give us a call on 01202 487714 or email us at advancedautos@btconnect.com for more information. We are always happy to help with any enquires and we will always give you a professional and personal service.